This pretty pink print makes the statement that your little girl is the Princess. This print features a palace horse and a royal carriage as your Princess makes her way to the castle in a flurry of flowers and hearts. The center piece of the design is a yellow scalloped label, the perfect place for the name of a princess. A personalized lamp shade night light can be the finishing touch to any room. The unique design makes it stand out from other night lights and our prints, patterns, and personalization will make it your very own!! Add your name, initial, or monogram for that extra special feel. The lightly textured lamp shade with ribbon trim and satin finish makes this more than your everyday night light; it's artwork!! Unclip the lamp shade if you want to change your decor but keep the night light. 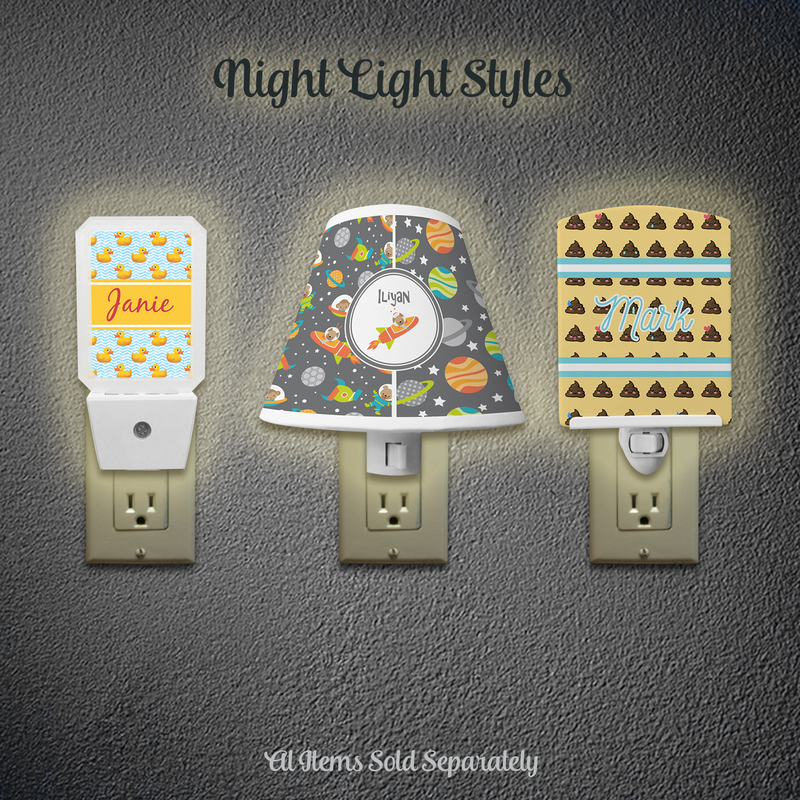 Check out our personalized lamp shades that can coordinate with your night light.